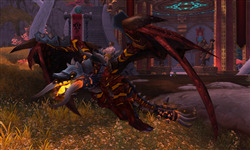 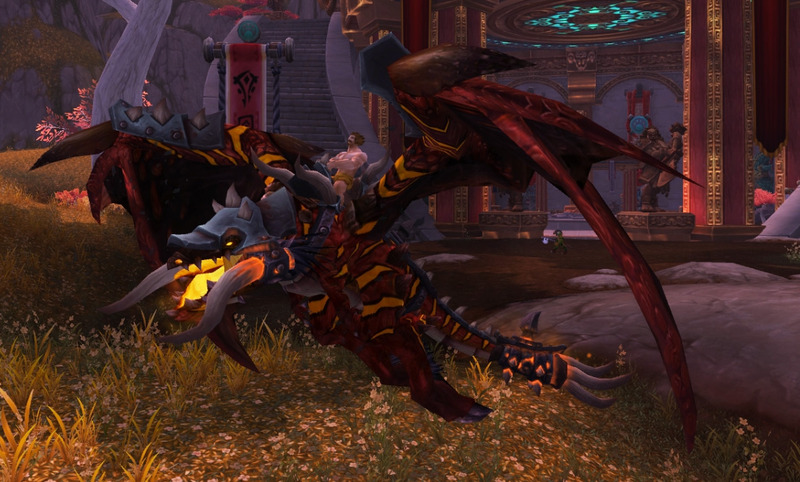 Summons and dismisses a rideable Spawn of Galakras. 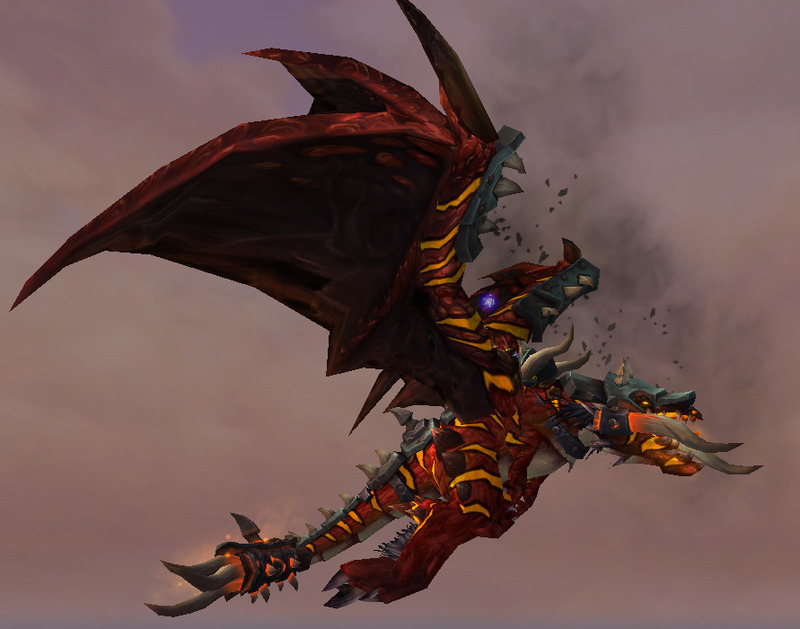 This is a flying mount. 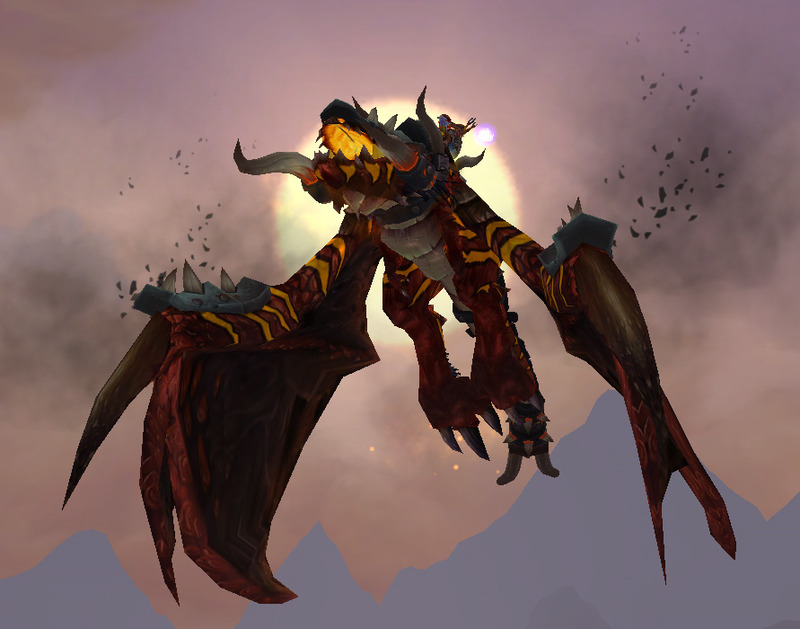 This formidable creature's lineage may be traced to Galakras, and yet further to Galakrond, one of the most infamous of all proto-dragons.